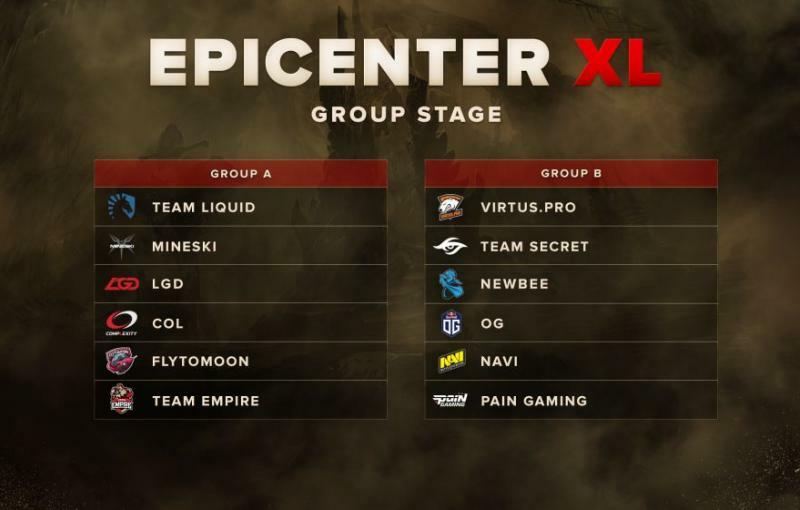 The champions of both previous EPICENTER Dota 2 tournaments, Team Liquid, are in Group A, where they’ll face Mineski-Dota, LGD-Gaming, Complexity Gaming, Team Empire, and FlyToMoon. In Group B, Dota 2 fans can look forward to a thrilling derby between Virtus.pro and Natus Vincere. Also in Group B are ️️Newbee, Team Secret, ️OG, and Pain Gaming. The group stage matches will be played from April 27 till May 2 in a round-robin Bo3 format. The two best teams in each group will advance to the upper bracket of the playoffs. The squads that place 3rd to 4th will make up the first-round matchups in the lower bracket, and the 5th and 6th places will be eliminated from the tournament. Follow our announcements on social media and subscribe to our channel!